WWF-UK's Living Planet Centre (LPC) in Woking has been officially opened by one of their own ambassadors, Sir David Attenborough. 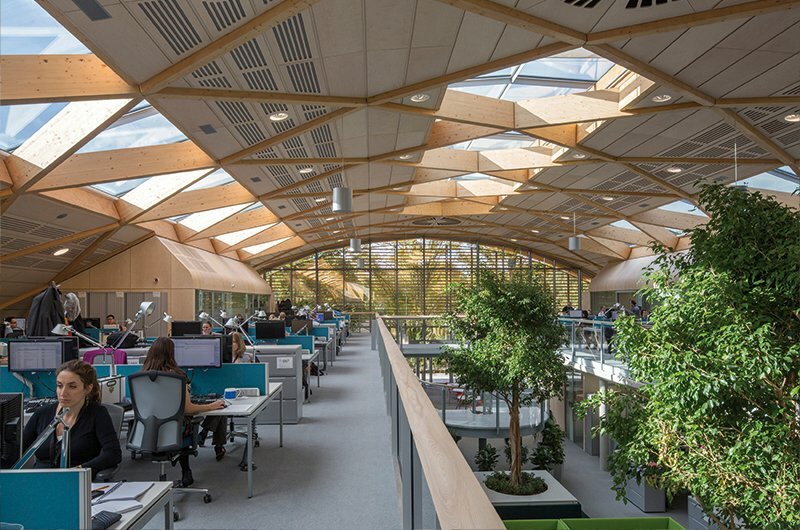 Located on a prominent and challenging site at the edge of Woking's Town Centre, the LPC is the organisation's new ultra-green administrative building. Created to set a dynamic new precedent for similar buildings throughout the country and indeed the world, it maximises on-site sustainable features and has targeted the coveted BREEAM Outstanding rating. It is designed as an inspired reflection of the functional ethos of WWF-UK and includes an outreach component, the WWF Experience, to welcome members of the public into the building. Sir David called the new facility "a remarkable, elegant, symbolic and beautiful building."